Looking for a holiday gift? 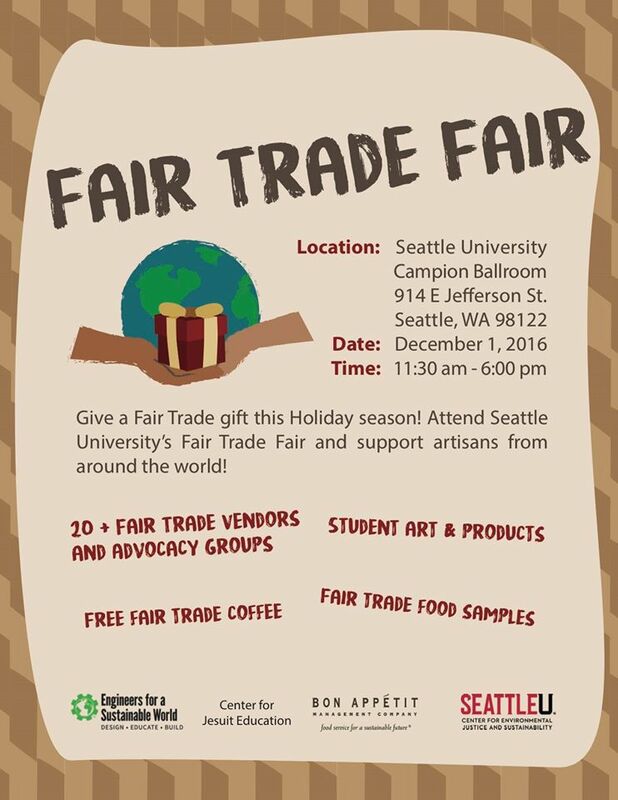 Stop by at SU’s Fair Trade fair on December 1 and promote fair gift giving for the holiday season! The event is open to all, so invite friends and family! We will host vendors selling diverse products sourced both locally and globally; fair trade advocacy groups presenting information to the public; and Seattle University students selling their artwork, handmade jewelry, and other goods. Sponsored by Seattle University’s CEJS, Engineers for a Sustainable World, the Center for Jesuit Education, and Bon Appétit.